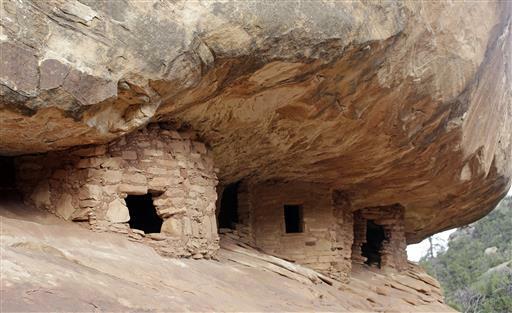 BLANDING, Utah (AP) — Laminated sheets of paper held in place by rocks rest inside ancient cliff dwellings nestled underneath a spectacular red rock overhang in southeastern Utah. 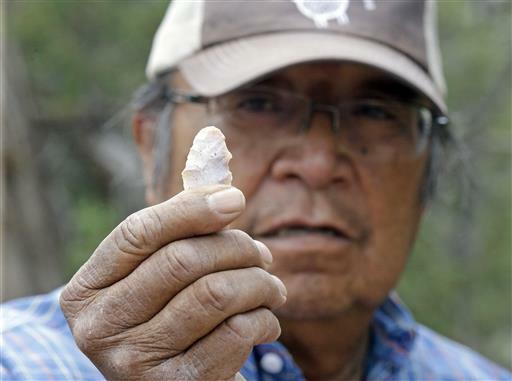 The cliff dwellings are part of an estimated 100,000 archaeological sites within a 1.9 million-acre area that a coalition of American Indian tribes wants President Barack Obama to designate a national monument to ensure protections for lands considered sacred. 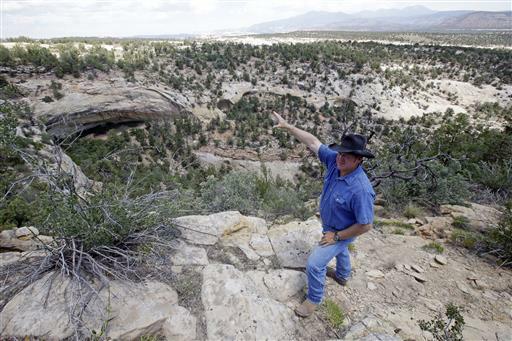 The issue has become the latest battleground in the debate over public lands in the West. Tucked between existing national parks and the Navajo Nation, the proposed monument features stunning vistas at every turn, with a mix of cliffs, plateaus, towering rock formations, rivers and canyons across wide expanses covered by sagebrush and juniper trees. Opponents agree the area is a natural treasure worth preserving but fear a federal designation would create restrictions on oil and gas development as well residents’ ability to camp, bike, hike and gather wood. The management system in place from state and federal agencies works, said rancher Kenny Black, who has cattle grazing permits within the proposed monument. Members of Utah’s all-GOP congressional delegation are urging Jewell to instead back a plan from U.S. Reps. Rob Bishop and Jason Chaffetz. The bill introduced Thursday calls for protecting about 4.5 million acres in the state, including 1.4 million acres of the Bears Ears area, and to open up 1 million acres for recreation and oil and gas development. Another bill released Thursday would bar the president from declaring a monument in seven Utah counties, including the Bears Ears region. Conservation groups say the Bishop and Chaffetz bill doesn’t go far enough to protect the area. A tribal coalition stopped meeting with the congressmen because they felt their concerns weren’t taken seriously. Jewell’s visit doesn’t mean a monument decision is imminent, Interior spokeswoman Jessica Kershaw said. But other such visits have foreshadowed designations. Obama designated the Stonewall National Monument gay rights site in June, a month after Jewell visited for a public meeting. Presidents commonly name monuments in their final year in office. 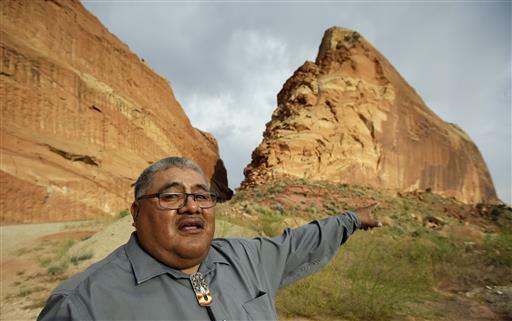 Obama has named 23 monuments during his two terms, said Athan Manuel, the Sierra Club’s director of lands protection. 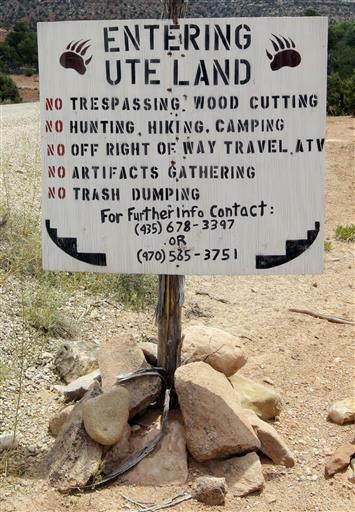 To residents in the small, predominantly Mormon town of Blanding, the proposal is a thinly veiled, repackaged push from environmental groups who recruited tribes after previous attempts at a national monument fizzled out. Not all tribal members support the monument. San Juan County Commissioner Rebecca Benally, a Navajo, is a vocal critic, saying the designation would limit what Native Americans can do on their own ancestral lands. Black and other opponents contend that reports of looting and grave robbery are grossly exaggerated. Since October 2011, the BLM has recorded 28 cases of archaeological damage within the agency’s Cedar Mesa area that comprises a large chunk of the proposed monument, spokeswoman Kimberly Finch said. In one case this year, somebody etched a heart with initials on a wall with petroglyphs. Jonah Yellowman, a Navajo spiritual adviser, regularly travels in the area to gather wood for his home and for rituals. Standing in a grassy field dotted with purple wildfires at the foot of the Bears Ears buttes, Yellowman reflected on the importance of the monument.